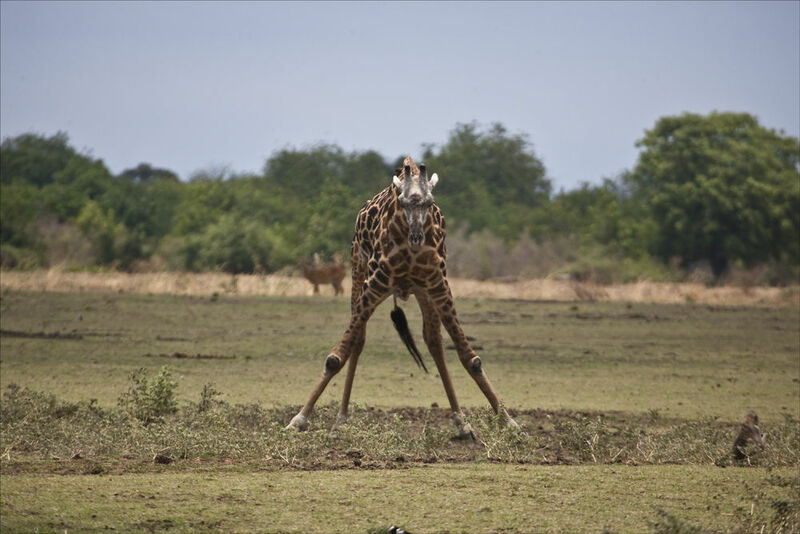 A Thornicrofts ( resident of Zambia only ) Giraffe slaking it's thirst at the waterhole beside Kafunta camp. Almost an eye level from the hide, it is at this moment Lions ambush Giraffe. On this occasion all went well. A sight to see ! !